You know those times that you’re hanging out with a friend and she shows you a craft trick that you know is going to make your life a ton easier? Well I have one of those for you today. 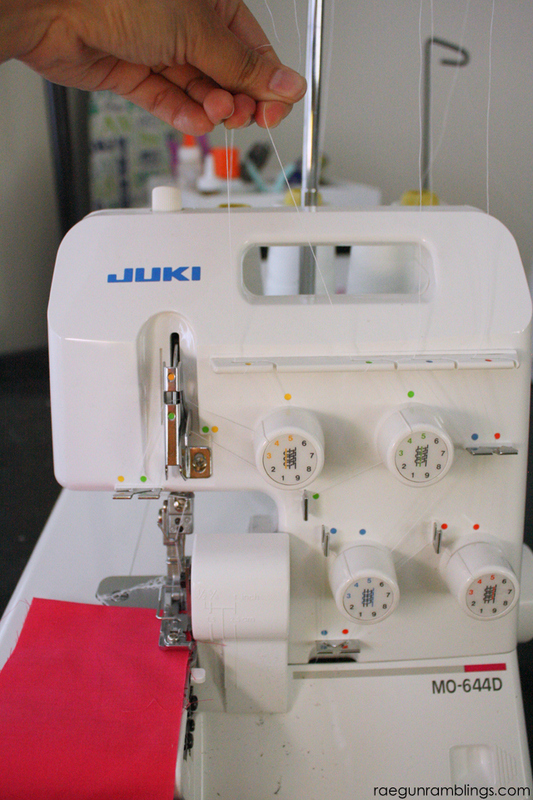 I gather on my serger all the time without using a special foot. And while I’m sure those are fine and dandy I’m lazy, I don’t really feel like learning how to use something, and my way is super fast and effective. Actually I have two ways for you. One which involves turning a few knobs (super easy and still lazy) and the other that involves no adjustment of your machine settings at all (the ultimate lazy method). But, before we get to that I wanted to give a shout out to an awesome sewing supporter that works behind the scenes that you may not know of but that you’ve almost certainly have benefited from: Anne Weaver. 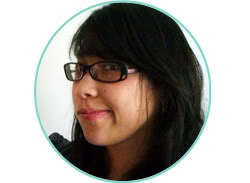 She is the sewing editor over at Craft Gossip (super awesome craft site that features all kinds of great tutorials and tricks). Fun fact I used the gathering trick I’m sharing on the dress I’m wearing in this pic from Sewing Summit where I met Anne in person. I have found so many great tutorials and projects over the years thanks to Anne. 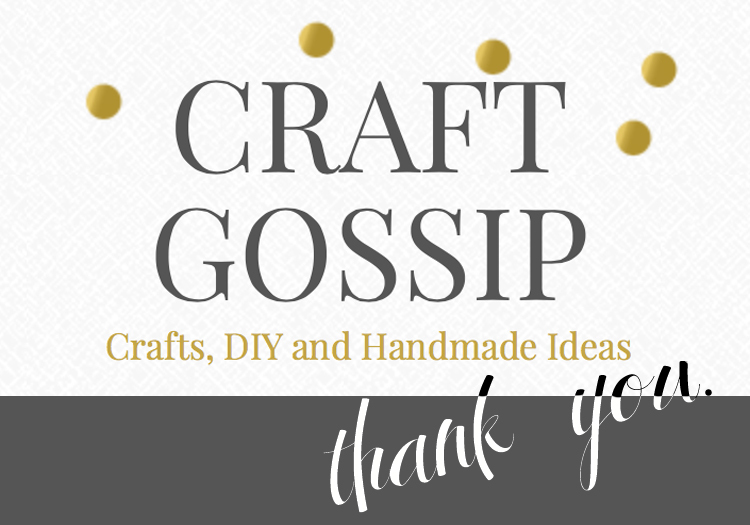 And more than that I know that a lot of you have found ME and my little bit of the internet here at Rae Gun Ramblings because Anne has shared a project of mine over at Craft Gossip and for that I’m so so grateful! Thanks Anne! 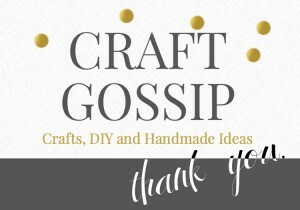 A bunch of sewing blogger friends and I are dedicating our posts today as a big thank you to Anne and Craft gossip and their part in making the online sewing community a great place. You can see everyone else’s posts here. 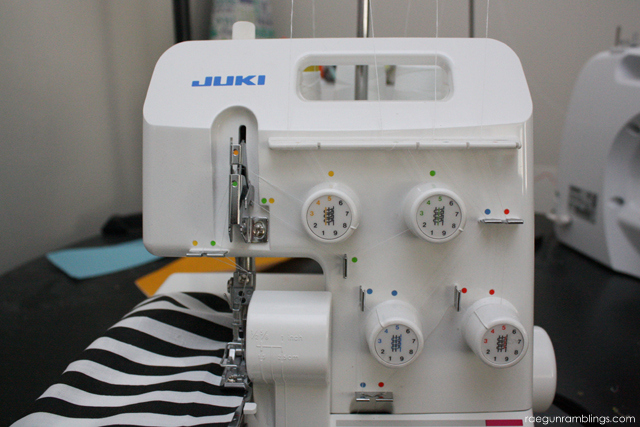 Now are you ready for my super duper easy, one step, you don’t have to change a single setting or foot on your serger trick? Ready, don’t blink because it’s so fast and easy. Here goes, pinch the needle threads while you serge. Yup that’s all. It might take you a few tries to figure out how tight to pinch the thread but if you pinch the needle thread while you go essentially you’ll up the tension and force that fabric to gather. You’ll learn that different fabrics require different amounts of pressure but after a while you’ll get the hang of it and be able to control how much it gathers with a simple wave or ahem pinch of the fingers! I find this technique works best for lightweight gathering or for small pieces for example when you are gathering sleeves or a ruffle on a skirt. 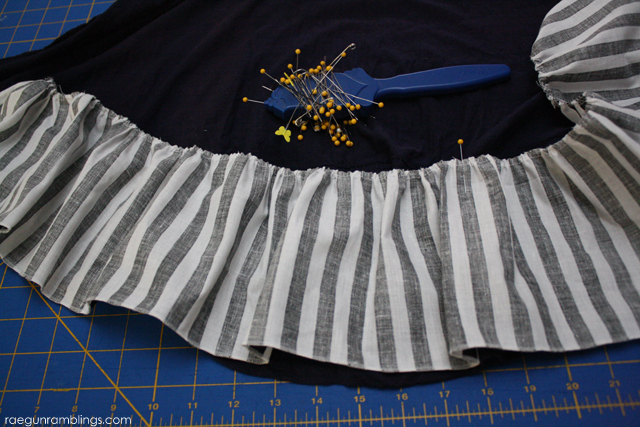 For more heavy duty gathering like with full skirts I prefer to use another cheater gathering method that you do on the sewing machine. Okay but if you have a lot of gathering to do like I do with all the ruffles I make for my Etsy shop your arm might get tired pinching the thread. Granted I did it that way for years and I was fine but if you don’t mind turning some knobs you can save some arm strength. 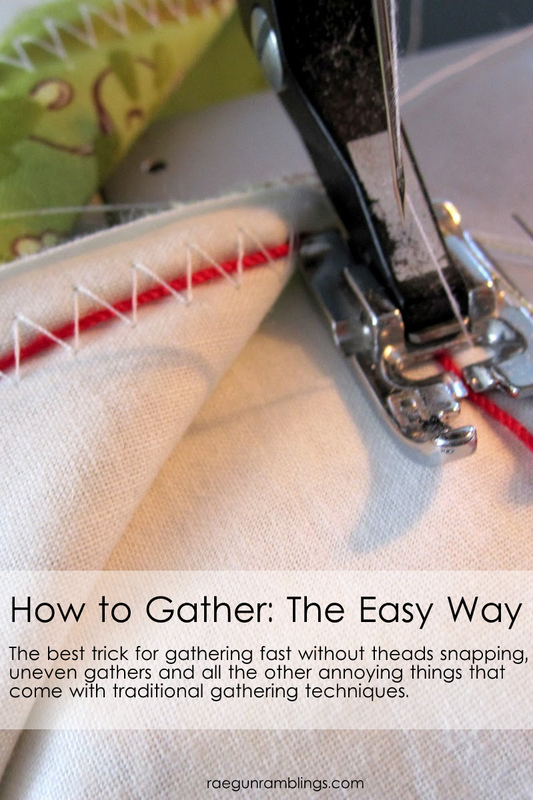 Gathering on the serger is awesome because when you’re done the edge is finished AND you’re done gathering, bam time saved! 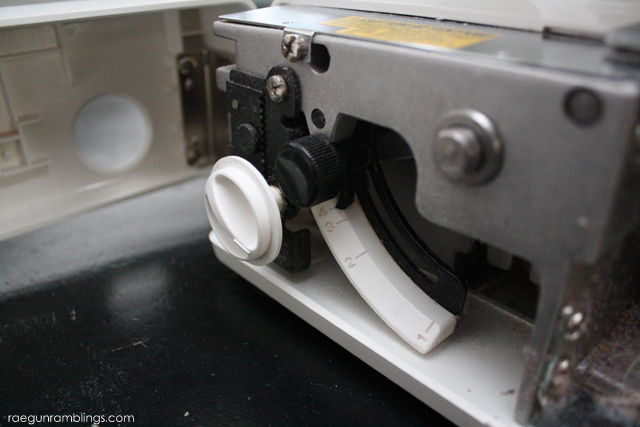 If you’re serger has a differential feed setting put it on the highest setting. If not don’t even worry my ultra lazy way above doesn’t need that or you can try it without this step and see if it still works it just might. Next make the tension on both needle threads very high. Finally set your stitch length to very long. Serge away and you should see your fabric being gathered as you go. Make sure to leave a long tail at both ends in case you want to loosen up the gathers. You can also pull on the needle threads to gather it more tightly when you’re done. 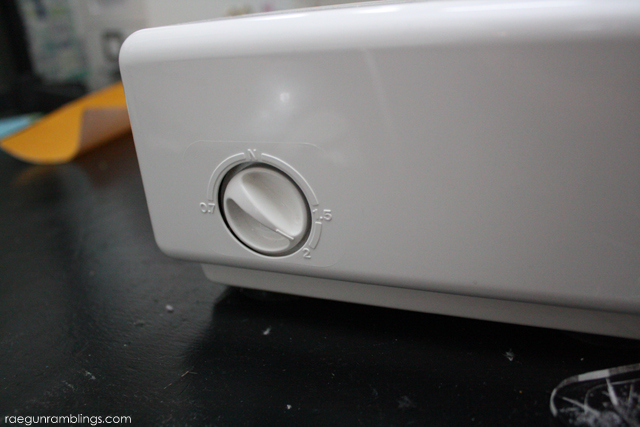 It may take some fiddling with the tension number but it’s as easy as that! 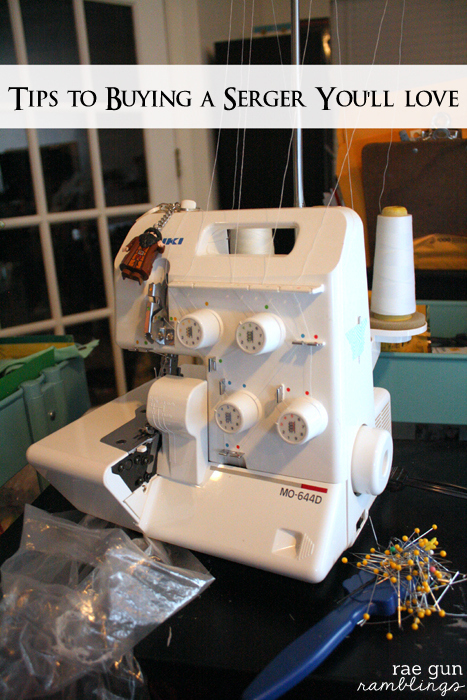 Don’t have a serger but thinking of buying one? 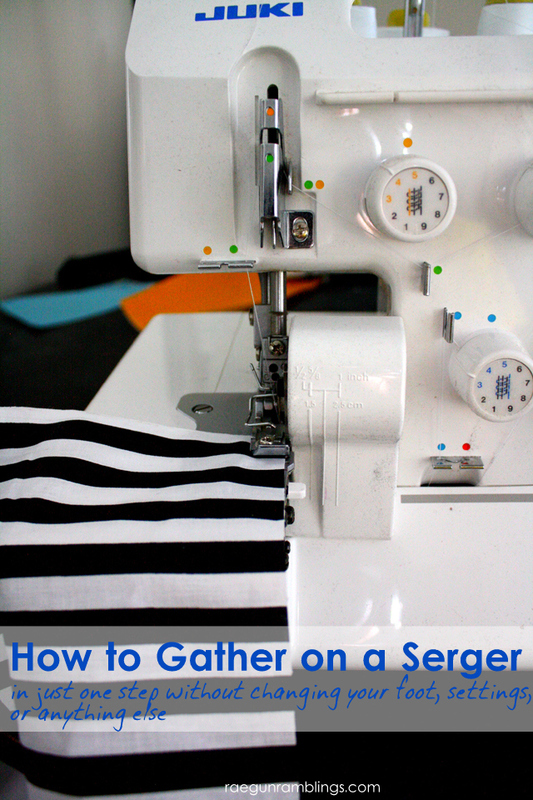 Here are my tips for buying a serger that you will actually use! Got a bit more fabric to gather? 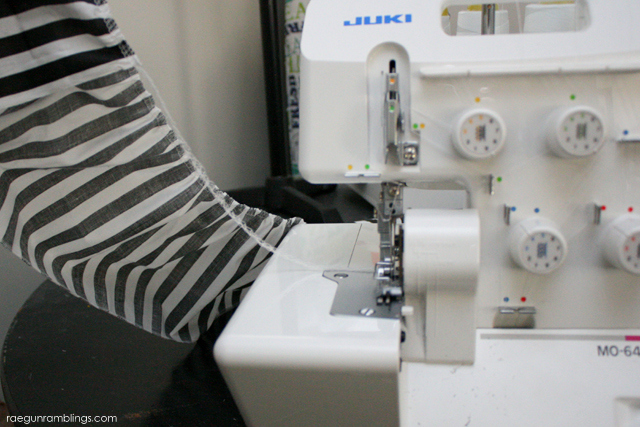 I’ve got another cheater gathering method for you to check out that you do on the sewing machine! Oh my goodness – this is GENIUS Marissa!!! I am so going to give this a try!!! I hope you like it. Seriously it’s the best for my lazy girl sewing style. Well! Aren’t you the life saver? Thanks SO much for this tip!! yay I hope you like it. I seriously use this method all the time! THANK YOU for such an amazing surprise with these posts!! 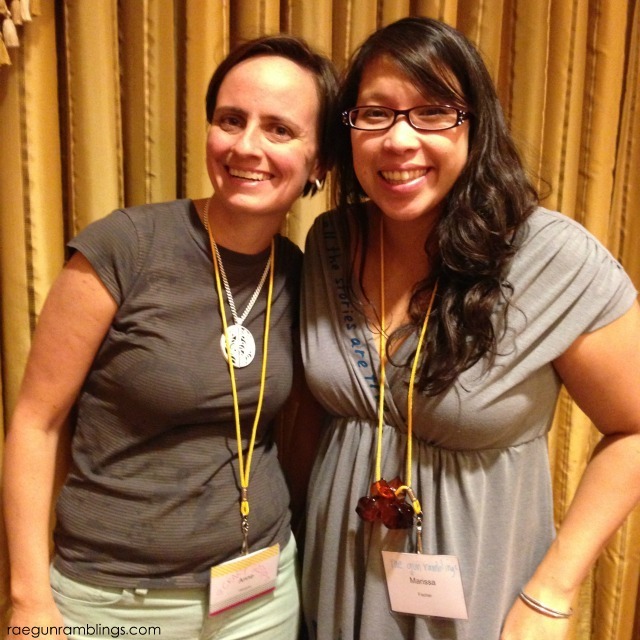 And how fun you pulled out that photo from Sewing Summit. I had such a great time hanging out with you! Yes put ruffles on everything SOOO much easier than basting! ANd you are the best!!! !